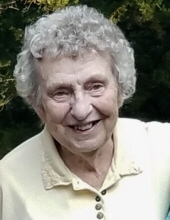 Shirley Rose Corey, of Rolla, passed away peacefully surrounded by her family on Thursday, March 28, 2019 at the age of 87. She was born in Allenton, MO, on November 8, 1931 to the late Wesley and Rose (Whitworth) Wideman. On February 2, 1952 she married William E. Corey, who preceded her in death on August 22, 1999. Shirley was a long term member of the Greentree Christian Church in Rolla. She was an avid reader and enjoyed unselfishly serving as a caregiver for others in need. In addition to her parents and husband, she was preceded in death by two brothers, Wesley Wideman Jr. and Bob Wideman; and one granddaughter, Somer Daye. She will be greatly missed by her surviving family which includes two sons, William E. “Bill” Corey Jr. and wife Sue, of Rolla, and Wallace “Wally” Corey and wife Mary, of Westphalia, MO; two brothers, Kenneth Wideman, of St. Clair, MO, and Gene Wideman and wife Jeannie, of Union, MO; five grandchildren, Anthony, John, Travas, Monica and Abby Corey; nine great grandchildren; two great-great grandchildren; nieces, nephews, other extended family members and dear friends. A funeral service for Shirley Corey will be held at 1 pm Friday, April 5, 2019 at the Null and Son Funeral Home in Rolla. Interment will follow in the Roach Cemetery in Doolittle, MO. A visitation for family and friends will be held prior to the service Friday beginning at 11 am at the funeral home. Memorial contributions are suggested to Phelps Health Hospice or the Greentree Christian Church. To send flowers or a remembrance gift to the family of Shirley Rose Corey, please visit our Tribute Store. "Email Address" would like to share the life celebration of Shirley Rose Corey. Click on the "link" to go to share a favorite memory or leave a condolence message for the family.